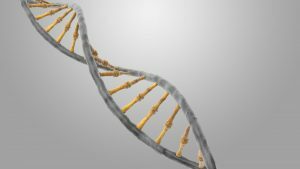 The Supreme Judicial Court recently issued a decision in Commonwealth v. Sullivan affirming the defendant’s conviction of first degree murder, despite the fact that testimony about an apparent match between DNA from the crime scene and the defendant’s DNA profile in the CODIS database should not have been admitted. In its decision, the SJC stated that “for the limited purpose of explaining the state of police knowledge,” “the Commonwealth [was] permitted to introduce evidence that an investigator submitted crime scene DNA samples to a national database.” However, stated the Court, the test results obtained from that database inquiry (the match to the defendant’s DNA) were inadmissible hearsay “because those responsible for conducting the CODIS database testing did not testify and were not subject to cross-examination.” Nonetheless, the Court concluded that the error was not prejudicial because “[a]part from this testimony regarding the match …, State police crime laboratory chemists also testified to the match found using the defendant’s DNA profile obtained from the buccal swab. Therefore, evidence of a match was independently before the jury.” In a similar vein, the Court opined that “[b]ecause the testimony involving the CODIS DNA match was testimonial hearsay admitted through a State police trooper without proper foundation to establish personal knowledge [as to the creation and maintenance of the database], its admission violated the defendant’s right of confrontation under the Sixth Amendment and art. 12 [of the Massachusetts Declaration of Rights].” However, stated the Court, the error was harmless beyond a reasonable doubt. If you or a loved one is charged in a criminal case in which there is DNA evidence, it is of the utmost importance that you are represented by an attorney who is well versed in case law relating to forensic evidence, and who is sufficiently skilled to successfully argue to exclude any such damaging evidence. Attorney Cappetta has substantial experience handling cases involving forensic evidence – call him for a consultation and put his expertise to work for you.